“NSRI Plettenberg Bay duty crew were activated following reports of a man bumped off his surfski near Robberg Beach, Plettenberg Bay…” Bump? Some bump! Sea Rescue – National – Wednesday, 18 August, 2010. WARNING – Shark activity close inshore. 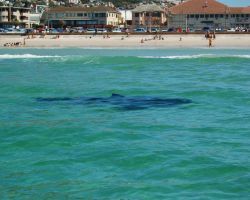 The NSRI and Save Our Seas foundation are warning bathers, paddlers and surfers to be acutely aware that at this time of year sharks migrate towards the shoreline in search of food. 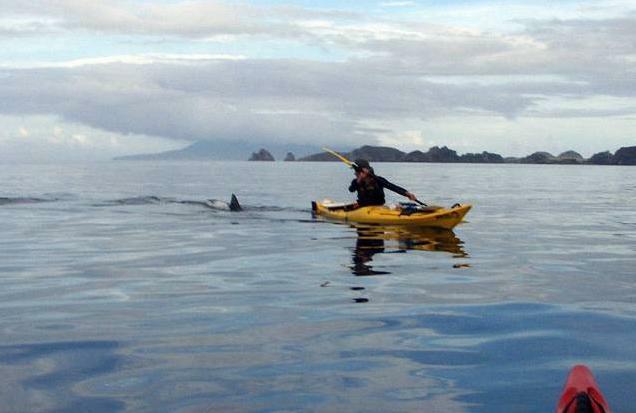 Duane Strosaker was paddling his sea kayak about 5nm offshore from the Gaviota State Beach in Southern California, when a Great White Shark decided he was worth investigating. Duane "screamed like a girl" (who wouldn't) as the shark gently put its mouth around the hull of the kayak and held it for "10-15 seconds". 29 year old Steve Kulcsar was knocked off his fishing kayak by a 5m Great White Shark near Long Reef, Sydney, Australia. The shark circled him for a minute while he trod water and tried to get back on his craft. What motivates email hoaxers? What assholes. 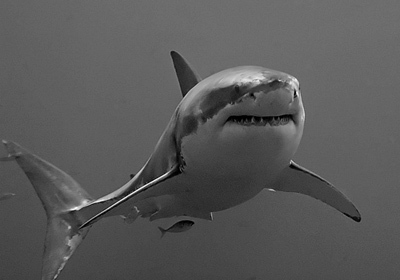 This 2006 pic of a Great White Shark is doing the rounds via email at the moment. 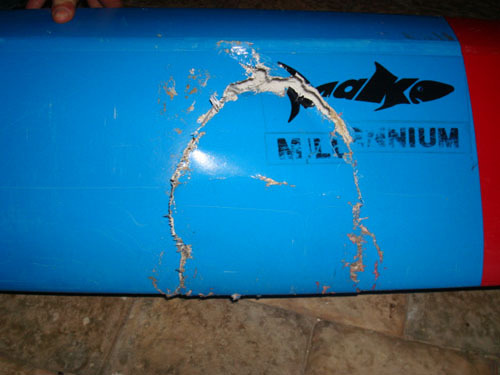 We have more details of the incident and some photos of the Fenn Millennium surfski that was chomped by a Great White Shark in Mossel Bay on 28th June. All the top paddlers will tell you that in order to increase your paddling speed, there's nothing like sprint training. Sometimes, though it's difficult to get motivated - it's hard work after all.